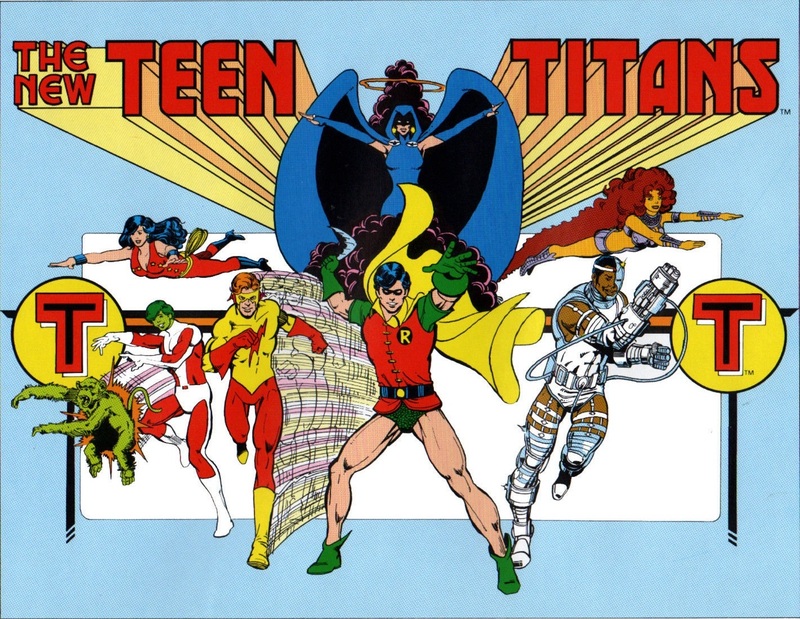 The Teen Titans are very much in the zeitgeist right now with two screen projects at the opposite ends of the spectrum – the kid-friendly Teen Titans Go to the Movies and the outlandishly over-the-top live-action Titans coming to the soon-to-launch DC Universe streaming service. 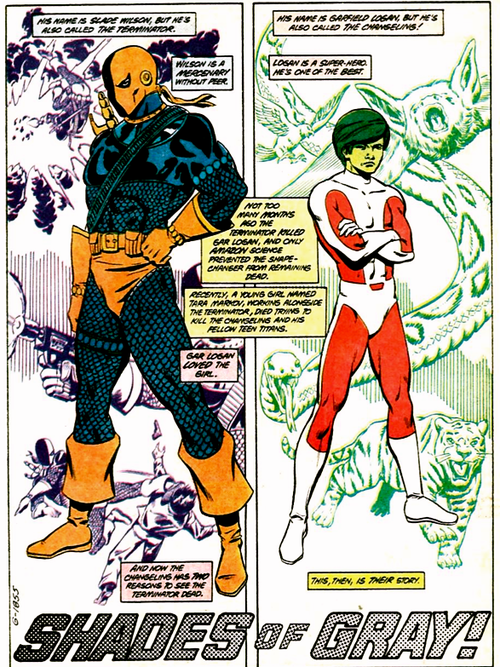 Both have their roots in what Marv Wolfman and George Perez created in 1980 — The New Teen Titans, the wildly popular revamp of the ’60s and ’70s supergroup that featured a combination of characters old (Robin, Wonder Girl, Kid Flash) and new (Starfire, Cyborg Raven), plus one ripe for rebranding (Changeling). 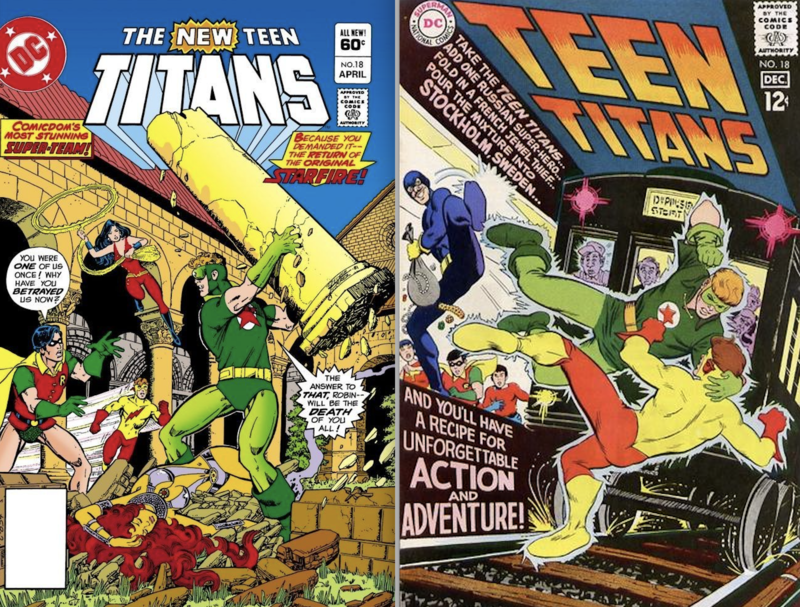 Marv Wolfman: They were all created for the Teen Titans. My goal… You know, a lot of fans at the time thought we were copying the X-Men. I kept saying, “No, we are not copying the X-Men.” I was not an X-Men fan. I said we were copying the Fantastic Four. (Laughter) I wanted a family book. I didn’t want the Justice League or the Avengers, which was just heroes coming together and then they go off on their own. The beauty that we had was that all the characters were exclusive to this book. Even Robin was no longer in Batman at that particular time so we could control it. My view was I wanted a family and the characters were created with the concept of how to be a family, and at odds with each other, but imbue it with everything needed to make them stay together. Give them a reason to be a family and not just a bunch of heroes teaming up. And that took a while. I won’t do it now but I’ve done it in the past where I’ve created outlines and triangles and all sorts of things that established who each character is personally and how they relate to all the other characters and why this character is this way and why this character is this way. The simple version, which I’ll do quickly, is Starfire’s on one end of the triangle, Raven’s on the other end of the triangle and Wonder Girl’s on top of the triangle. Wonder Girl comes from an island, a cultish sort of island that is both about peace and war. 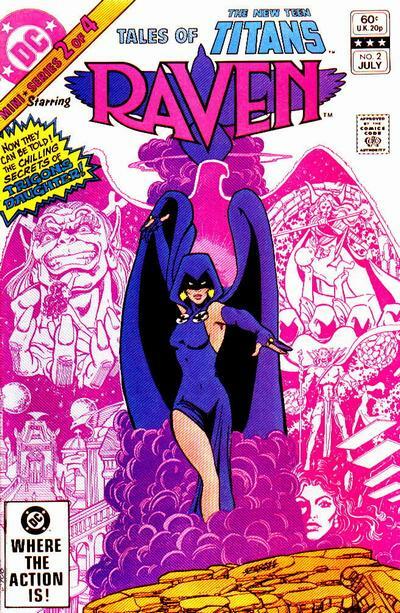 Branch the war one off to Starfire, branch the peace one off to Raven because she was a pacifist. Raven is all contained emotion and not allowed to have it. 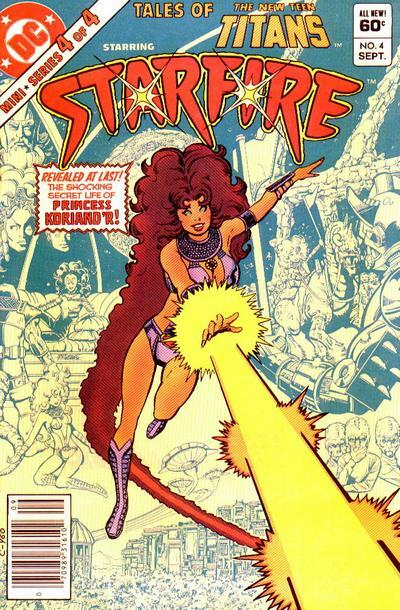 Starfire is all emotion. Wonder Girl’s pretty much in the middle. And there’s a hundred more things I had worked up. Each character is sort of opposite to each other but they all connect through Wonder Girl, which makes them have reasons to want to stay together as well. It’s hard to explain very quickly because it took me a couple months to work up the characters but it was all done on who these characters are, why they would work together, what their emotions were, what their powers were, and how each one would affect the other characters. With the goal of, under it all, they need each other. And that was very different from all the team-up type comics that were existing at the time because, like the Fantastic Four, they were a family. Dan: Now, of course, the Titans went on for a number of years. Marv: Sixteen! I wrote it for 16 years. Dan: Yeah, which is remarkable. Across that time, of course, you had stories like The Judas Contract that jump out… other ones as well. When you look back on that particular run, what are you the most proud of? Marv: You know, there’s so many little ones because you start… (Pauses) In the beginning you have a rough idea of what you’re doing and you know the approach but you haven’t really adapted to it totally or understood it completely until you start writing the characters and start drawing the characters. I’d say the first one that we recognized where this book would go was Issue #8, which was called, A Day in the Lives… and which has no super-action in it. It was all pure character and nobody was doing that sort of thing where there wasn’t a villain. That was the goal of making this a family book again because we weren’t interested in doing just action stories. We wanted to tell stories about these people. 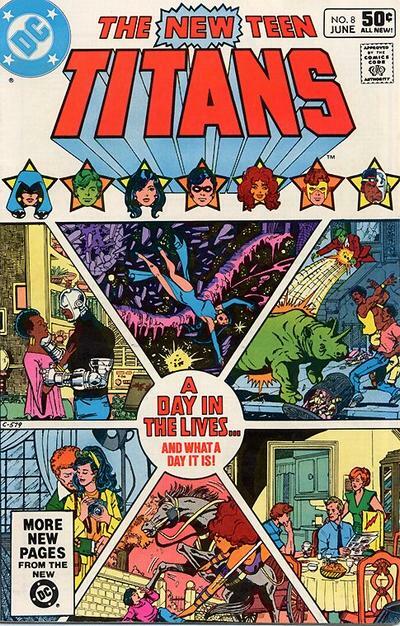 In Teen Titans, all the characters had an ancillary cast of their own. Cyborg had a father and had a mother. They died but he had them, and then we introduced the grandparents. Wonder Girl worked at a photo studio and we introduced all of her friends. None of these other characters have super powers. 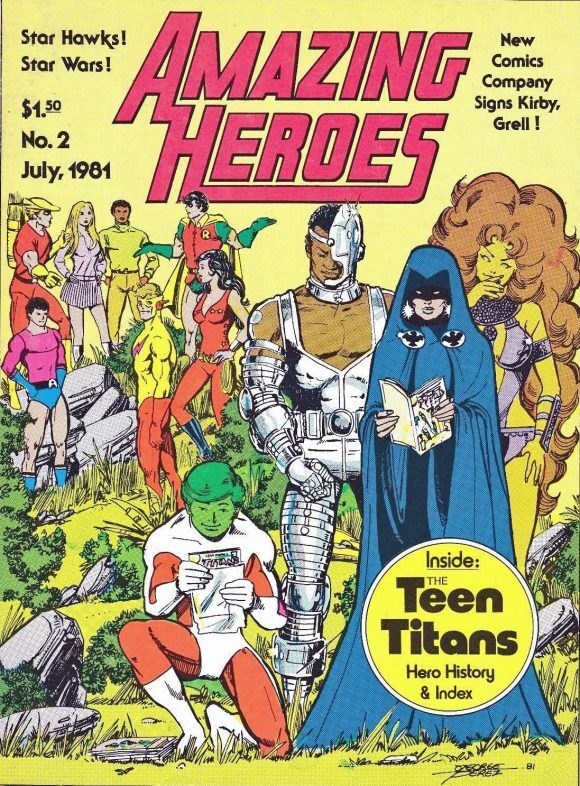 I hated the fact that every one of these groups, everybody that they knew had super powers. But these are supposed to be real people and I wanted them to act like real people and have friends that are not super-powered, who are just actually friends, or co-workers, or the other things that these characters are. And that was important. Issue #8 was the first one. We really expanded the cast with that one by introducing someone who would become Cyborg’s not-quite girlfriend but “girl friend” and the class of kids that he was gonna work with and you start to see the other side of Cyborg and all that. So, I really love that issue. There’s a whole bunch of them from about Issue #12 to #20. They’re all one-parters for the most part and my favorite one there brought back the Starfire from Russia, for which I said, “No, you have a translation problem. It’s RED STAR!” (Laughter) I simply had appropriated the name again and it made more sense as Red Star than Starfire. Perez on the left. Nick Cardy on the right. I wanted the characters to actually have political beliefs … where Kid Flash, who was raised in the Midwest, has a strong distrust for this Russian superhero. We sort of had that back in the original storyline (from the first series’ Teen Titans #18) but it wasn’t based on him being in the Midwest, it wasn’t being based on a conservative attitude or something else. I wanted it to be very different and it therefore was and he’s really after this guy. He really hates him because he knows he’s trying to kill this woman and he thinks he’s just some soulless butcher or whatever and then the big reveal at the end is, that it was his fiancée and she was spreading a disease, unbeknownst to her, and she had to be stopped. When Red Star finally gives the information to Kid Flash, it’s like his whole life is changed at that moment because he never considered anything but the traditional, “He’s Russian. He’s bad.” And they go through that. 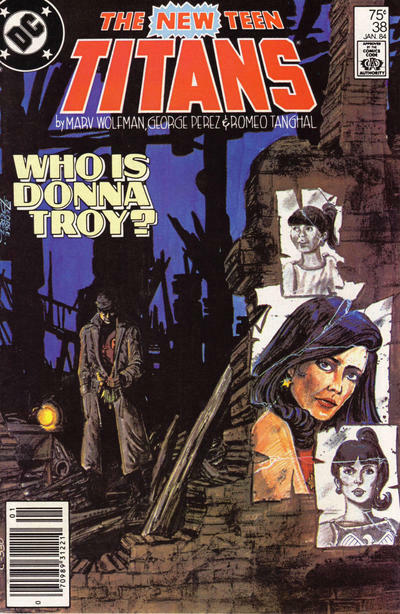 We did the final version of the Who Is Donna Troy? story—the final until the next one. (Laughter) Which, to me, is still the only one. I don’t care about any of the others. One of my favorites after The Judas Contract is one called Shades of Gray!, because it’s one of those stories where I knew what my story was about. This was after the Terra storyline, after The Judas Contract. I knew full well the story was gonna have a massive fight between Changeling and Deathstroke because Changeling was gonna just go insane on him for what happened with Terra. Normally, I could write the plots of these stories in a couple of days. Weeks went by and I wasn’t able to do it and it struck me the reason was I was completely wrong. This could not have a fight because that isn’t what Changeling needed. It’s what he wanted. He wanted to have a fight with him but he really needed to understand things and the last five pages of the book have them sitting in a diner talking about it and that’s it. And Deathstoke leaves. There are so many individual ones but they’re all based on characters. I can barely remember the plots on most of them because the superhero parts aren’t, to me, as vital as the character parts. NEXT: The Judas Contract. Click here. This was a really amazing interview! Great interview. Those are some of my favorites as well. Shades of Gray gets over looked because it’s not drawn by Perez, but its one of the series’ best.